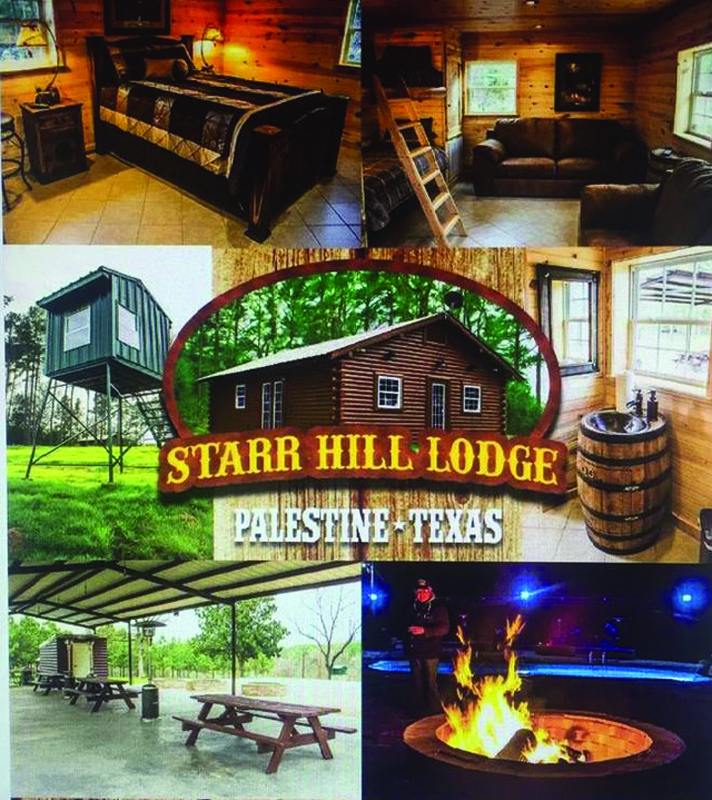 PALESTINE – The Palestine Chamber of Commerce is cutting the ribbon on the newest entertainment and relaxation venue in the area – Starr Hill Lodge, Inc. The ceremony will be held Aug. 13 at 3 p.m. at the facility located at 150 Anderson County Road 159. The public is invited to attend. The Starr Hill Lodge and the Chamber will host the popular band ‘Shiloh’ for the event and free food and beverages will treat guests to a cool afternoon in the shade. The pool will be open for those intrepid visitors who fancy a swim, as well as the rooms and entertainment areas of the beautifully rustic hideaway. Guests are invited to eat, drink and wander the grounds, swim in the sparkling pool or just amble around and explore the options for entertainment the new venue offers. Starr Hill is well-regarded and praised in such publications as Wedded Bliss and other venue lists and has followers as far away as the United Kingdom. The elegance of the decor, coupled with the quiet rural environment offer solace and comfort to those seeking a little peace and quiet but if a little excitement is more in line, there are party areas available for rain or shine. The venue can accommodate six people in the cabin and for those who prefer to ‘rough it in style’ there are numerous tent spaces available. The lodge can be reached on Facebook or at 903.729.1009. Previous articleNo ‘Big Brother’ for Palestine? Next article‘Seal’ Season in Texas?